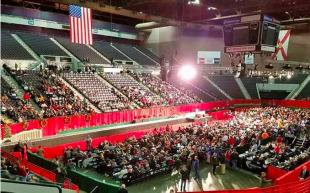 Photographic evidence from the arena venue for his speech tells a different tale, harkening back to inflated inauguration crowd claims. "Access denied." Thx anyway Freya. NOTE Appears to apply to JUST this article. . . Freya has posted other articles from Alternet, and I have access as usual. Me too, i wonder why!